Charleston South Carolina, so many great location and as a Charleston engagement photographer I love marsh lands. Often time, when I am photographing an engagement session in the marsh areas, I have to worry about high tide, low tide, as well there are pluff mud to consider, and what animals live in there. I was so, so fortunate for this Charleston engagement session, where it was low tide for a long time, and the pluff mud was dry, so we took total advantage of this situation during this engagement session. I love using different lenses for many looks and feel in my images. For this engagement image, I used the lens compression to give her fiancé that blur, as I wanted to concentrate the focus on her, also what makes this image pop is the contrast difference between them both, the tilt of the camera adds the artistic touch to the image. The post production with varying filters I used, makes this engagement very warm. 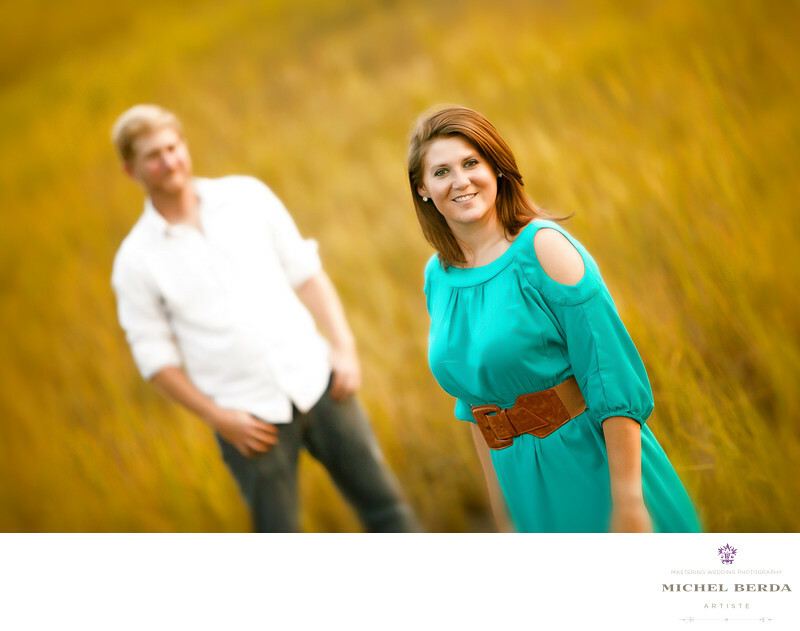 I love the final image result of this Charleston, Sc, engagement session. Keywords: Engagement Charleston (3).